One of the best lessons of this semester has been the in-depth review my personal branding class had done on the power of social media. Not the power to sell, but the power to build Youtility and community. 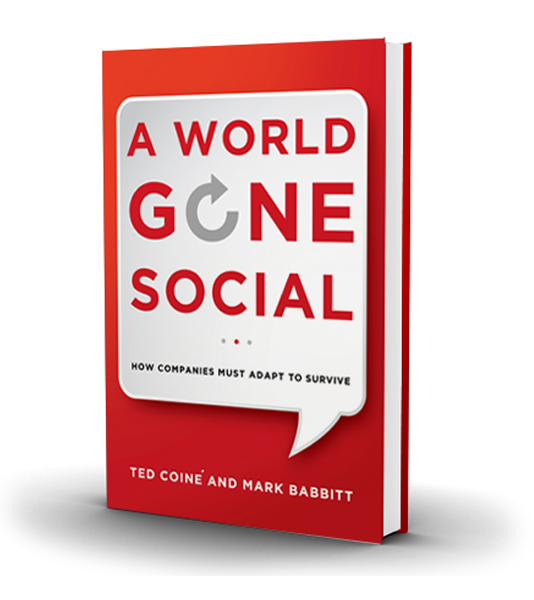 I just finished A World Gone Social by Mark Babbitt and Ted Coiné, which covers an amazing amount of information on the birth and impact of the Social Age. I was also very fortunate to have been able to hear follow-up from Mark Babbitt last week when he came to speak to my class. Mark spoke about what he and Ted have learned in the six months since the book was published. A post regarding Mark’s comments will come later this week. I would first like to review the topics covered in the book that stood out to me the most. If you are looking to own or be a part of a relevant business in the 21st century, then you should really read this book. The Dawn of the Social Age: The last six years have been seen as the birth of a new age. And, much like that of the transition to the Industrial Revolution, those who do not learn to accept the new paradigm will be left behind. What does this mean? Society is no longer limited by the lack of information, rather they are empowered to learn and understand the relevance and quality of products and services on their own. 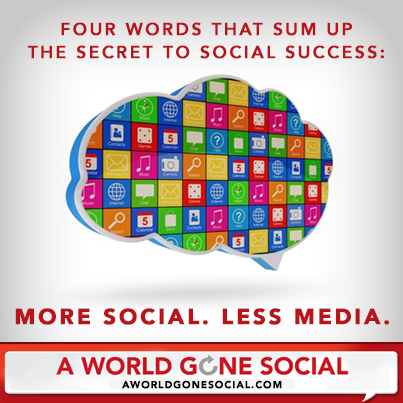 Social media is presented as the platform that puts the power in the hands of the customer. This can either go very well, or very poorly. More Social, Less Media: This principle is quite simple, use social media as a platform to be social and engaging, and build community, rather than a venue for promoting the newest deal or product that a company is pushing. Engagement is in full affect in the Social Age, and those who don’t join in, if they have not already, will become obsolete. Nano Groups: One of the most intriguing ideas from the book is that of the nano group; a team created to solve a particular problem that is then disbanded following completion. This has been a staple of the movie industry for many years, but is making its way into business more and more. I found this idea so interesting that it will receive its own future blog post. Flat Hierarchy: By empowering a company’s staff and allowing them to make and be responsible for their own decisions, there is less and less need for a massive management infrastructure. What comes from keeping that structure in place is called the “management tax.” This tax comes in the form of paying salaries for managers who no longer serve a vital role in a company; employees make decisions based on evidence, not on experience. A company that can do the job and not have to account for additional overhead can sell their product or service at a lower price. Change comes as a result of insurmountable market pressure and those businesses that do not change will end up falling away. OPEN (Ordinary People, Extraordinary Network): The OPEN concept is one that is quickly becoming the mainstay of finding solutions. Whether it is asking a question about a book recommendation on Twitter or looking up information on Wikipedia, crowdsourcing is now a major factor. Working with a collective of intelligent problem solvers can find solutions that have long been issues. The Blue Unicorn: Leaders who have truly embraced, and participate in, the Social Age are called “Blue Unicorns” by the authors. The reason is that they are so rare. Culture starts from the top and trickles down from there. It is not born out of retreats that happen once a year. The authors provide the following equation: Leadership + Service + Culture = Profits. Leaders must set the example, which will allow for real change towards a social culture to take place. Looking through my notes, there are about five other topics that I could include, but will need to be saved for another post. Of the items listed above, what stands out to you as the most intriguing? Please let me know your thoughts in a comment below.